Edmonton, Alta. – With the conference semifinals set to unfold this weekend, Canada West unveiled the 2017-18 men’s hockey all-stars and all-rookies Wednesday. In total, 18 players were honoured by the conference on one of two all-star teams and a single all-rookie squad. 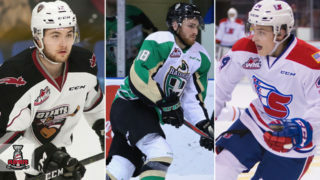 Once again, Western Hockey League (WHL) graduates make up the bulk of the conference’s top players, with 16 players products of Western Canada’s premier junior hockey league. 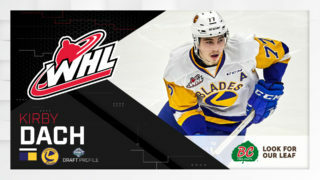 All told, the 16 WHL graduates have more than 4,300 games of WHL experience on their collective resume and accounted for 36 wins, 111 goals, 205 assists and 316 total points during the 2017-18 conference regular season, showing once again the important role the WHL plays in powering CW men’s hockey. 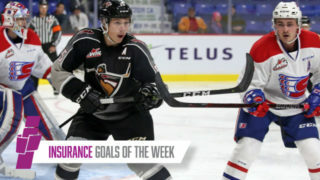 WHL players continue to choose Canada West to further their abilities on the ice and in the classroom thanks to both the WHL Scholarship Program and CW hockey members. The WHL Scholarship program provides WHL grads with tuition, compulsory fees, and required textbooks for each season played in the WHL, while CW members provide the opportunity to earn a degree at some of Canada’s finest post-secondary institutions while competing as a student-athlete. In terms of CW member representation on the all-star and all-rookie teams, the Alberta Golden Bears and Saskatchewan Huskies led the way with four players honoured apiece. Alberta’s Jason Fram (D) and Luke Philp (F) were both first team all-stars, while Clayton Kirichenko (D) and Steven Owre (F) were named all-rookies. 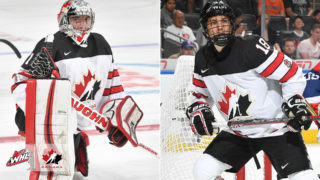 For Saskatchewan, Jordon Cooke (G) and Josh Roach (F) – who finished second in league scoring with 37 points, three behind Philp – were first team all-stars, while Kendall McFaull (D) and Logan McVeigh (F) were named second teamers. All told, every CW hockey school earned representation on one of the three teams, with Calgary landing three players, Mount Royal and Manitoba with two, and UBC, Lethbridge, and Regina earning one apiece. 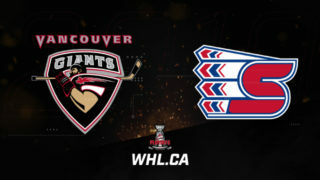 The conference playoffs resume Thursday with semifinal action when the Huskies host the Calgary Dinos in Saskatoon, while the Bears and Cougars series opens Friday night in Edmonton. You can watch both the Bears-Cougars and the Huskies-Dinos in their best-of-three series by tuning into Canada West TV – the official streaming home of every conference men’s hockey game. For a complete look at the CW semifinals schedule, click here. 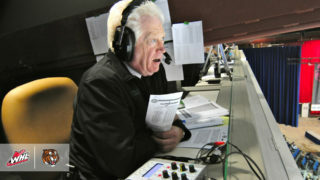 NOTE: The CW all-stars and all-rookies are selected by the conference’s eight men’s hockey head coaches. Josh Roach / F / Saskatchewan / 5 / Saskatoon, Sask.